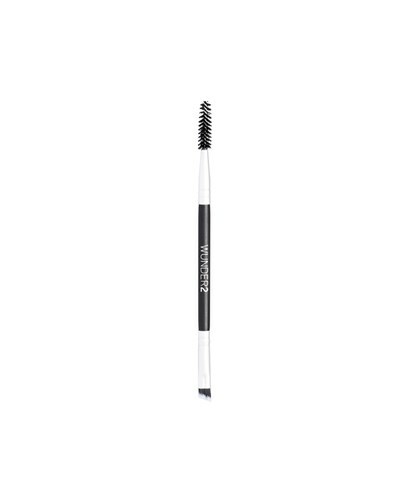 Description Apply your brow makeup with perfect ease and accuracy using WUNDERBROW DUAL PRECISION BRUSH - a dual-ended brush ideal to use with WUNDERBROW to create the perfect brows. The firm bristled, angled side works perfectly with WUNDERBROW for precision and enables you to mimic fine ‘hair like’ strokes on the brow. Use the spoolie to brush through and groom brows and also soften and smooth out WUNDERBROW as a final step.